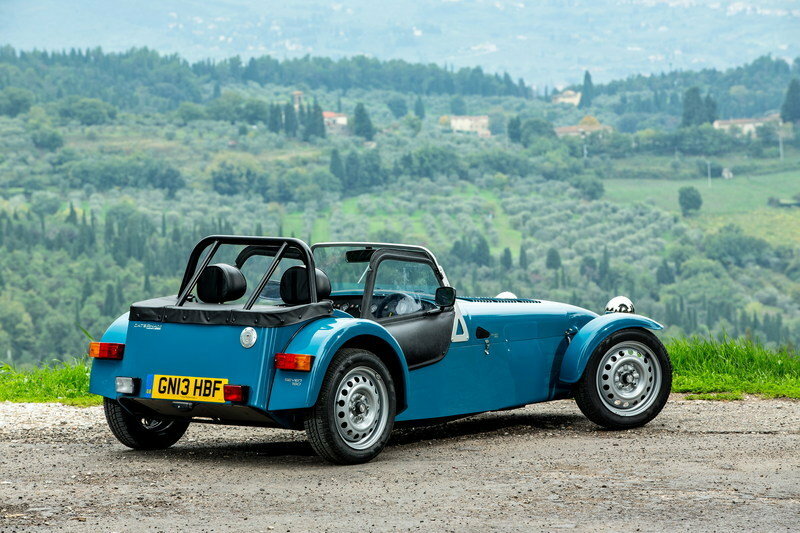 Known as the Caterham Seven 165 on the European market, the new Seven 160 is now officially available for order in the UK, and will be put into production in January 2014. 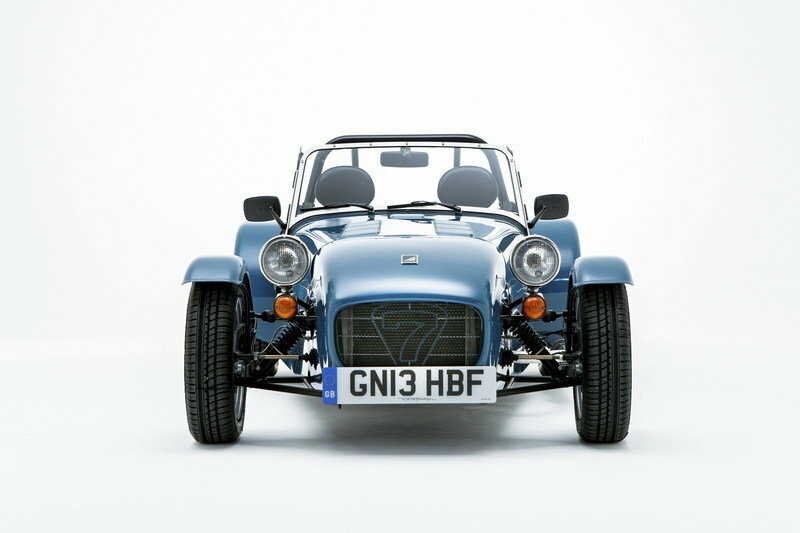 The model occupies the entry-level slot in the Caterham Seven lineup, and is priced from £14,995 — about $24,200 at the current exchange rates. As standard features, the new Seven 160 comes with a set of 14 inches steel wheels combined with a live axle rear suspension. On the inside, the model offers cloth adjustable seats and inertial reel seat belts. 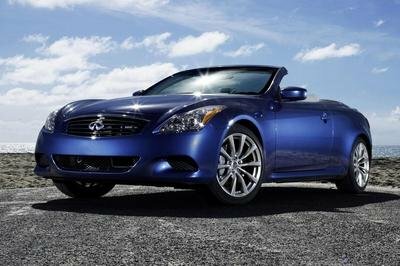 For buyers that need a little extra comfort, there are lots of other optional features to choose from. The new Seven 160 is no powerhouse by any stretch of the imagination, but the 80 ponies that it packs are plenty to get this super-lightweight car to highway speeds in under seven seconds. 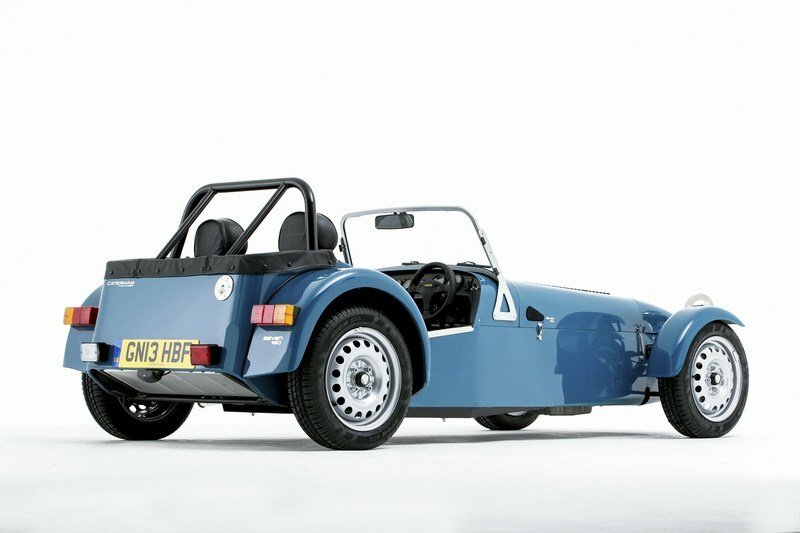 If you’ve seen one Caterham Seven, you’ve seen them all, and the Seven 160 is no exception to that trend. The only variance is that the rear of the 160 takes its inspiration from the first-generation Seven. 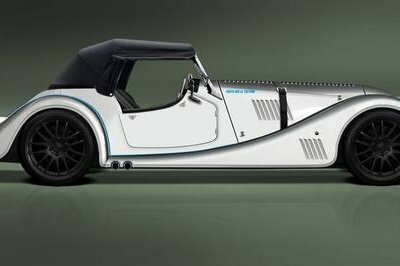 This gives the Seven 160 a simple and retro look, and helps keep its weight as low as possible — 490 kg (1,080 pounds), to be exact. The model can be ordered in six different exterior colors: yellow, blue, green, orange, black and red. 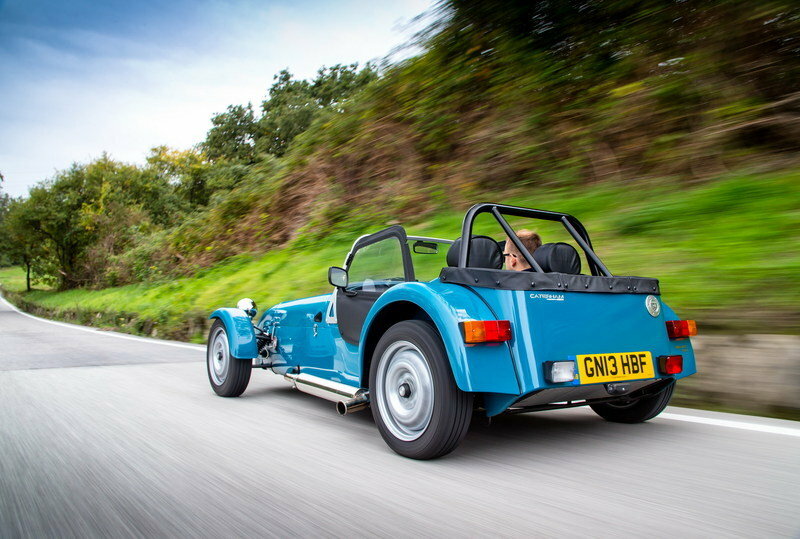 The 2014 Caterham 160 is about as basic on the inside as it can possibly be. 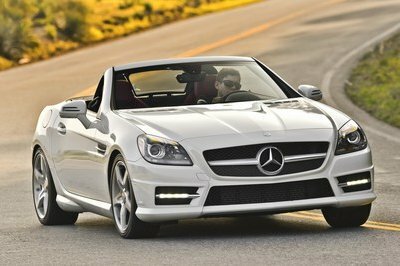 As standard, it comes with cloth, adjustable seats and inertial-reel seat belts. 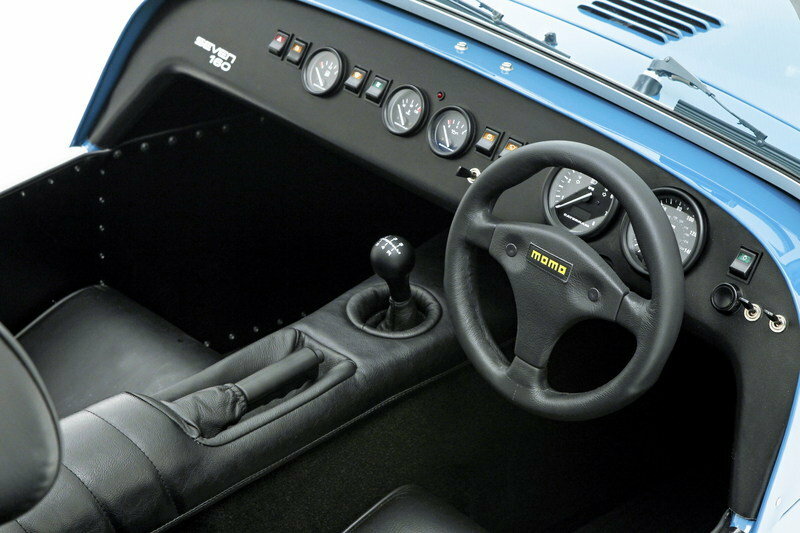 If you want to add a little more without breaking the bank, you can opt for leather, adjustable seats; a Momo Q/R steering wheel; a heater; carpeting; and a 12-volt power source. Despite the low power output, the Seven 160 delivers decent performance figures. 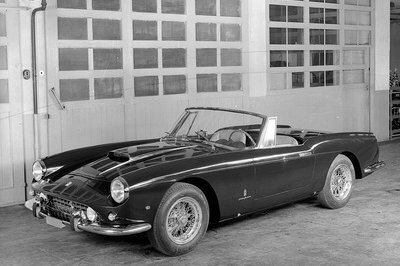 It sprints from 0 to 60 mph in just 6.5 seconds and up to a top speed of 100 mph. With a total weight of just 490 kilos (1,080 pounds), the new Seven 160 will deliver a power to weight ratio of just 163 hp-per-tonne. 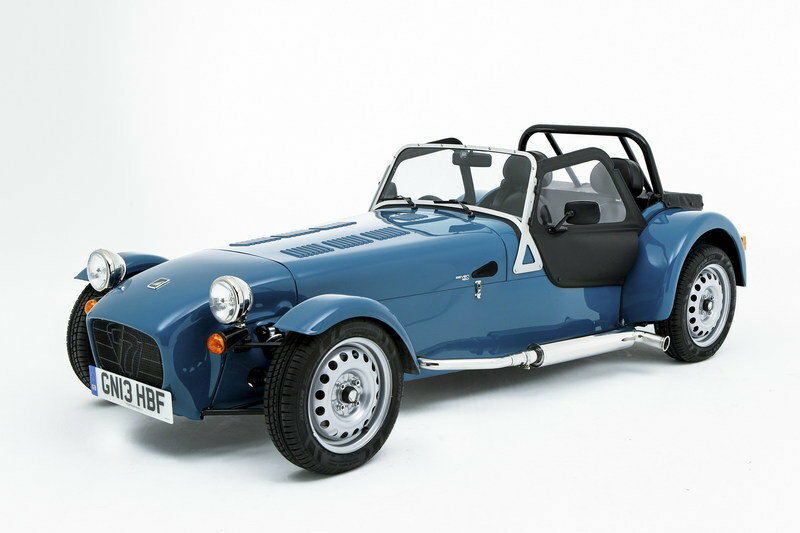 The new Caterham Seven 160 is priced from £14,995 (about $24,200 at the current exchange rates). 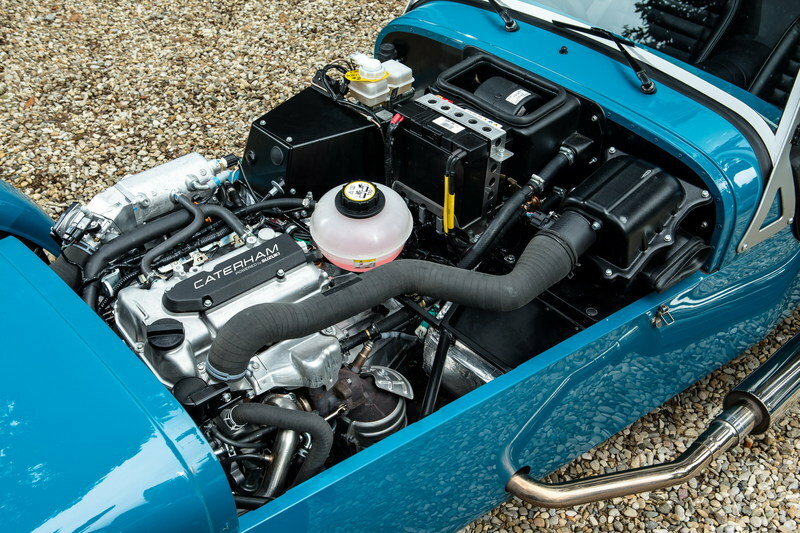 The KTM X-Bow is one of the few competitors that the Caterham has to fend off. It is powered by an Audi-sourced engine that delivers a total of 220 horsepower and sprints the car from 0 to 60 mph in 3.9 seconds. It’s nice to see the new Seven 160 coming in at such a low price, but its stripped-down nature may turn off some buyers. 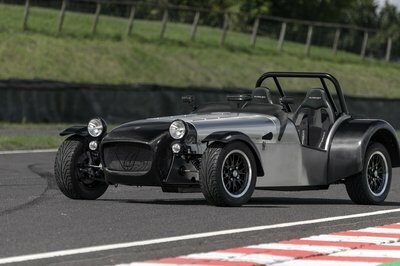 On top of that, it remains relatively quick and still carries the iconic Caterham look.